BRUSSELS (Reuters) - European Union leaders have given Prime Minister Theresa May two weeks' reprieve, until April 12, before Britain could lurch out of the EU if she fails to persuade lawmakers to back the withdrawal treaty she concluded with Brussels. May had wanted to be able to delay Britain's departure until June 30 to tie up legislative loose ends, and tried to reassure the EU that she could overturn two heavy defeats to clinch a last-gasp parliamentary ratification of her deal next week, so allowing a status-quo transition period to come into effect. After May left the room, and with French President Emmanuel Macron pitching a surprise ultimatum for Britain to be out, deal or no deal, by May 7 -- the eve of a summit on the EU's post-Brexit future -- the meeting plunged into frantic debate. That date corresponds to the six weeks' legal notice required for the EU election - which the Union would insist Britain hold on May 23 if it remains a member. 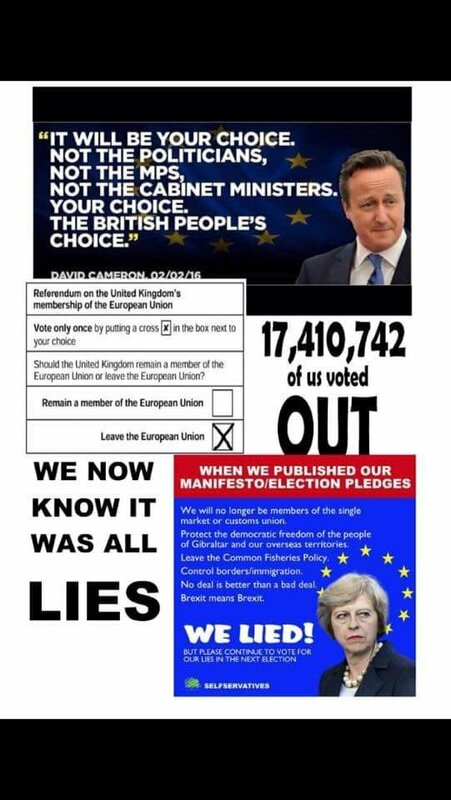 If it does not hold the election, leaders said, the very last date Britain must leave would be June 30, before the new EU parliament convenes. Until April 12, said summit chair Donald Tusk, "all options will remain open and the cliff-edge date will be delayed". "The UK government will still have a choice between a deal, no deal, a long extension or revoking Article 50 (the withdrawal notice)," he told a news conference. "What this decision tonight does is show the clear choice that is open to MPs," May said. "I think the choice is clear for people." But May's stated belief in her strategy of a third vote did not communicate itself to the summit table. "It did not go well," said one EU official familiar with the talks. "They basically realised that she doesn't really believe it herself. They don't want to be seen to be forcing the Brits out now. But they are looking for ways to end the agony." "WE HAVE BOUGHT TWO WEEKS"
Macron has led the charge, calling for Britain, long a thorn in France's plans for deeper European integration, to put up or shut up on Brexit. "We have come up with a response that protects our interests," he said. "It is up to the British to sort out their own internal contradictions. As for us, we don't have any." May's opponents at home range from hard-core Brexit supporters who say her deal gives the EU too much influence in Britain to others, inside and outside her own Conservative party, who would prefer to stay much closer to the EU or cancel Brexit. Voicing the fears of business that a "no-deal" Brexit would hurt economies across the continent, German Chancellor Angela Merkel argued for caution, saying she would "work to the last minute" to avoid a disorderly departure. By pushing the Brexit crunch towards Britain's April 12 deadline to declare its decision on holding an EU election, EU diplomats said, the leaders also dodged potential blame if they had simply allowed Britain to crash out next Friday. "That way, Merkel and the rest of the EU can avoid blame for forcing the British out," one EU official said. "It will be up to the British themselves to say they are leaving with no deal." "Today was a long seven hours that bought us two weeks," another EU diplomat said. "It just lets us say with a clear conscience that we didn't throw them under the bus on March 29 ... But before April 12, we will face the very same questions as now." I thought they previously stated they need for a full vote before they could offer an extension. Now they don't need that vote ............. what a surprise. I predict the EU will give the UK extensions forever rather than back them into a leave corner. Why don’t you read the article first before posting nonsense? I guess you think 'EU leaders' and a 'full vote' are the same thing. You're probably right and just Germany and France should be considered a 'full vote'. But isn't anyone still pretending the EU is some sort of democracy with all countries getting to vote? The requirements for extension are whatever Germany say they are. No gives a damn about what you think about us. How we govern and make decision is not your business. You can join our club if you’re willing to commit, otherwise do your own little thing in Brexit Britain, whatever that is. I predicted that days ago, April 12th is the date which we will have to commit to holding EU elections, even if we agreed to hold EU elections there is no knowing if we will stay or go, if we were to hold elections and left then the EU would have to hold more elections to relocate the seats held by the UK. So we are going to have 3 more meaningfulless votes then??? Who is the "we" you have appointed yourself to represent and make statements for? so thats it then ..democracy has failed ?